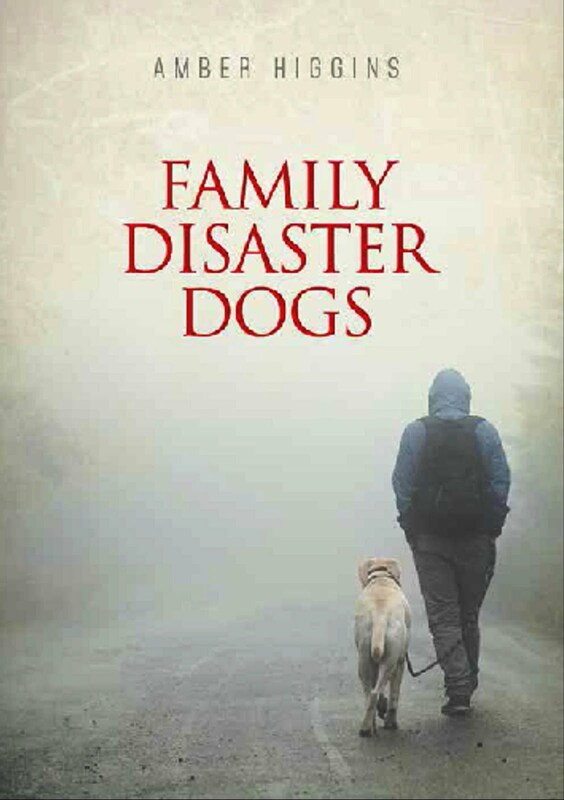 2018 Update: Click for the new Family Disaster Dogs on Amazon only $3.49 from the author and you get all the lessons, dog bug-out bag list and CPR all on your device. In this lesson we will discuss how your family dog can work as an air scenting detection search dog. The air scenting search dog is what we most often see on television working in disasters with FEMA rescuers. These dogs are trained to pick up and follow human scent that is floating on the air or concentrated in one location. When scent is released from a person the particles are dense and form a type of invisible cloud that slowly moves away from the person in a cone like pattern. The scent particles drift further apart the further away from the point of release or person therefore becoming a narrower cloud the further away. The Air Scenting Detection dog is trained to find any human scent floating in the air and then follow the scent cone to the person. 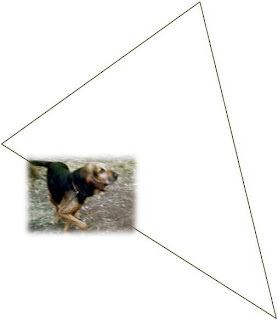 As the dog works the scent cone closer to the person the area the dog works becomes smaller and smaller indicating that the person is near. For instance, when a air scenting dog is ask to search a large meadow the dog will go back and forth crossing the area seeking scent particles. As the dog moves across the field the dog encounters the human scent on the wind and continues smelling the scent until they reach the edge of the scent cloud. that needs to be crossed until they reach the person. A dog when allowed to work the scent on their own will use the wind to their favor. 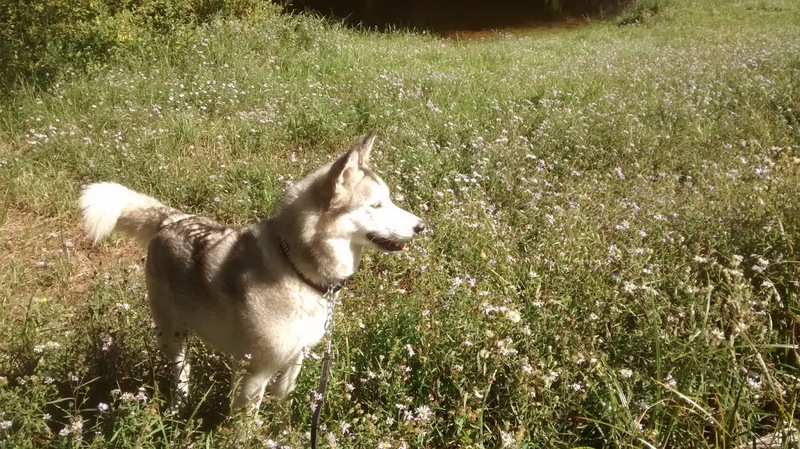 You can learn how your dog reacts when working a scent cloud by watching how your dog finds the wide side of the cloud and works less and less land until they reach the person. 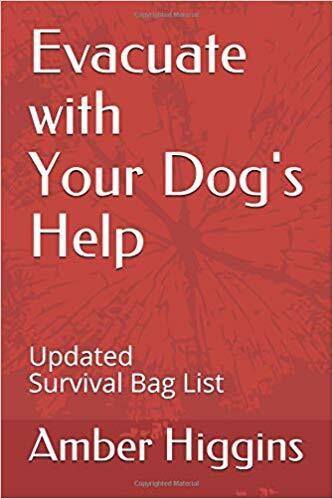 Because the dog is looking for any human scent in the area they will find any human beings in the area regardless if the person is lost or not. This accounts for air accenting dogs not finding a lost person in a heavily populated or contaminated area. The area should be cleared of all human beings before training your dog to air scent on command. Otherwise you will spend all day going from one person to another until the dog has found every person in the park for you. To train your dog to do air scenting all you really have to do is watch the dog while they work a scent then you will know what to look for. Dogs are working scents even in their sleep, they know what each scent means and it is up to us to learn how the dog is working the scent so we can follow them to the person. 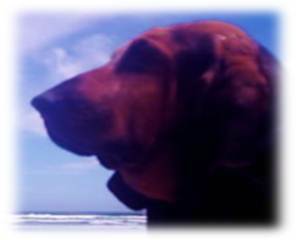 When working with your dog on Air Scenting the location is important in order for your dog not to become confused. 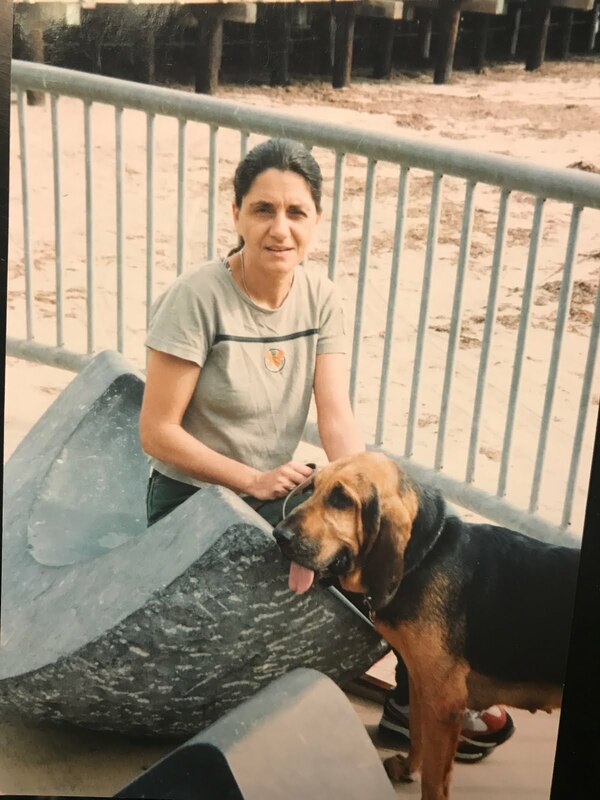 School yards and parks that are empty along with wooded areas where people seldom travel are best for beginning dogs and owners. Depending on your dog you can do this lesson off leash or on a long tracking lead. You will not have to have the person make a trail or course like in the tracking or trailing lessons. Instead, have the person talk with your dog while you hold your dog. Then have the person run away from the dog and hide in the large outdoor area. As soon as they are hidden turn your dog loose and say “Find them” or “Seek”. As your dog moves off to look for the person watch how the dog works the air with its nose. The head will go up when they find a scent and the nose will go to work. Follow your dog to the person and pay attention to how the dog works the scent cone so you will know next time. If your dog does not go right away to look for the person then encourage your dog to go find them by going yourself. Talk to your dog and ask them to go find the person with you. When you find the person have them pet and praise your dog. It’s okay for the person to offer the dog a little treat so next time your dog really wants to look for that treat. Repeat this 3 or 4 times each time you go out to work with your dog a couple of days a week. This is a good lesson to end a training session with because the end result is the dog finding a person on their own to receive praise and attention. A happy moment to be remember by the dog which encourages your dog to do this again for you when you ask. 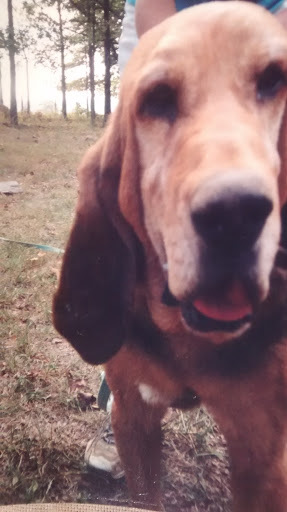 Use different people and as your dog gets faster at finding them then have the person hide for 5 minutes, then 10 minutes and 15 minutes making the time longer each week until your dog can find somebody who has been hiding for 1 hour on a few acres of land. Use different areas and surfaces but do use care with traffic and public places where you or your dog can get hurt. You can do these lessons inside a large building such as a multi unit parking garage or warehouse. The larger the area the better but at first do not have the person go to far away from you and your dog. 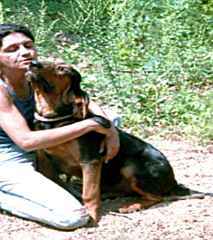 These lessons are not made to fool the dog or to make finding a person any harder for a dog to do. After all, a dog already knows how to use its nose. It’s you who is learning how to find people not your dog. You are learning to trust your dog. 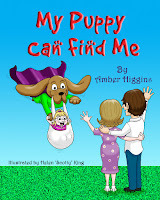 Get my children's book that shows your young child what to do if lost and how the family dog can find mom! 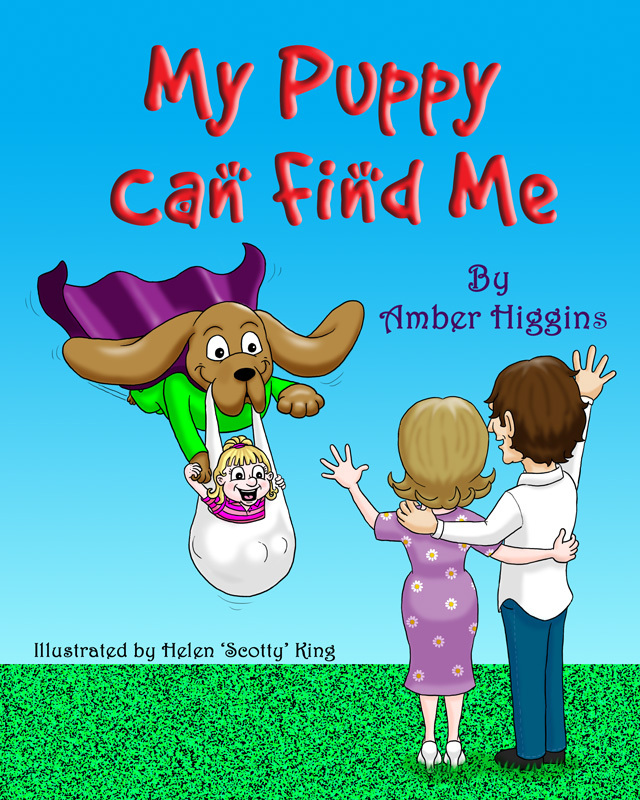 It's a fun activity book with games the whole family can play with dogs to learn how to find lost or missing family members! Art from UK Dog Cartoonist "Scotty"
Kill Ticks that spread Lyme disease, fleas and mosquito all summer with one collar.